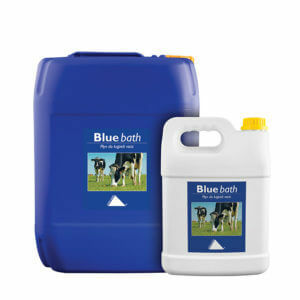 Specialist concentrate for hoof baths limiting the occurrence of lameness. 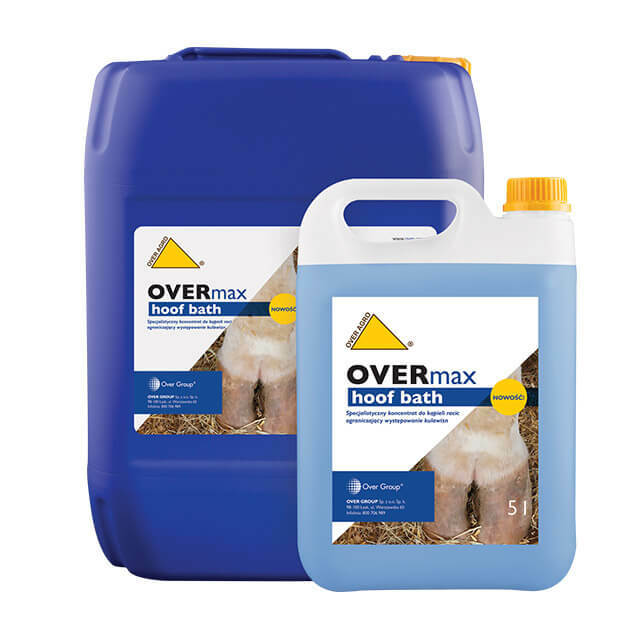 OVERmax hoof bath due to its unique composition of active ingredients have antibacterial, antiviral and fungicidal activities. 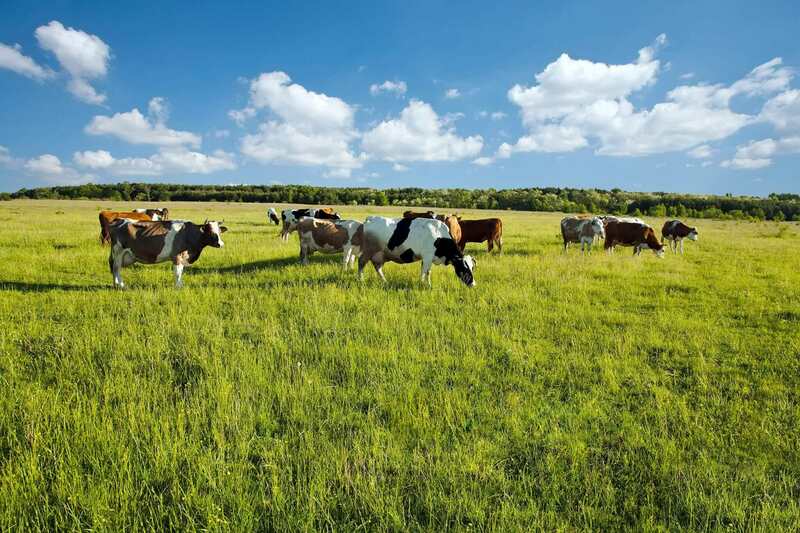 The product improves hoof health. The glutaraldehyde contained in the preparation prevents spreading of infections, while methyl salicylate shows strong anti-inflammatory effect. Regular use of OVERmax hoof bath preparation allows to keep hooves of animals in good shape. 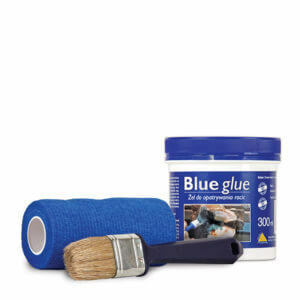 The product adheres adequately to corner of the hoof ensuring a long-lasting effect. Prepare a 2-5% solution of Over Max Hoof bath and fill a bath­tub. 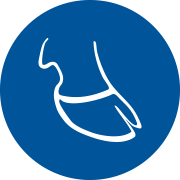 Prepared solution should not be used longer than 2 days, for no more than 150 animals. Repeat the treatment once a week. 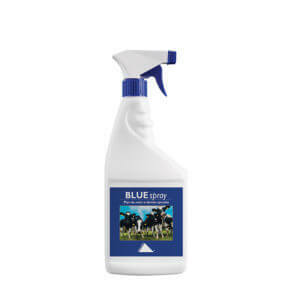 Concentrated, antibacterial solution for hooves baths.